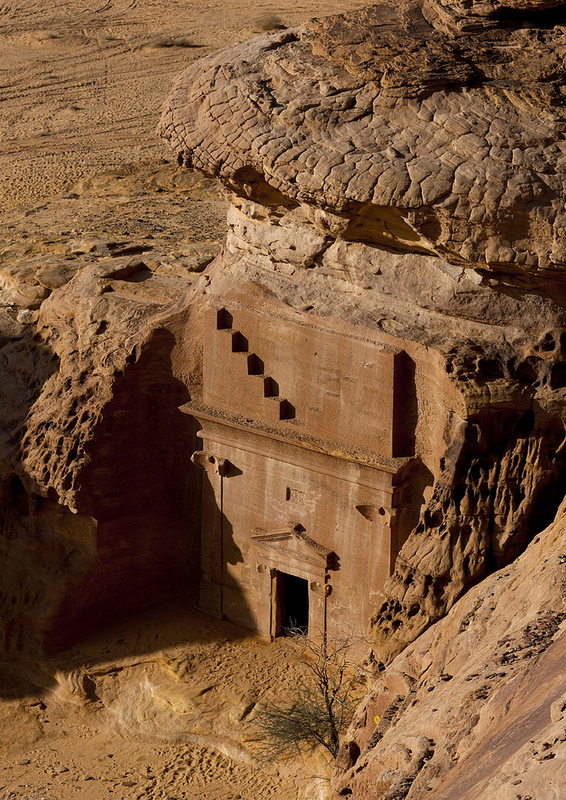 The Abu Lawha, the largest Nabataean tomb at the desert archaeological site of Madain Saleh, in Al Ula city, 1043 km (648 miles) northwest of the capital Riyadh, Saudi Arabia. Madain Saleh, also known as Al-Hijr, which was added on July 6, 2008 to UNESCO’s World Heritage List. Madain Saleh, the largest conserved site of the civilization of the Nabataeans south of Petra in Jordan, Madain Saleh is the first World Heritage site in Saudi Arabia. 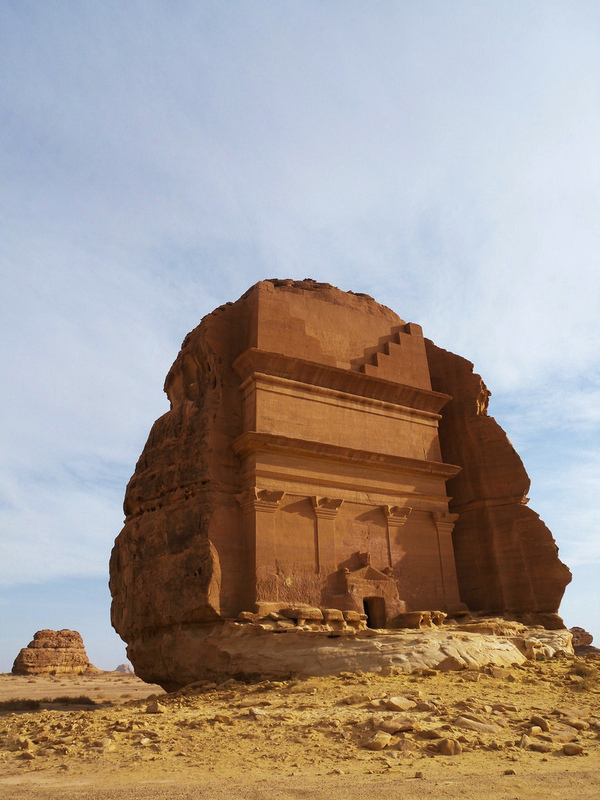 Mada’in Saleh, also called Al-Hijr or Hegra, is a pre-Islamic archaeological site. A majority of the vestiges date from the Nabatean kingdom (1st century CE). 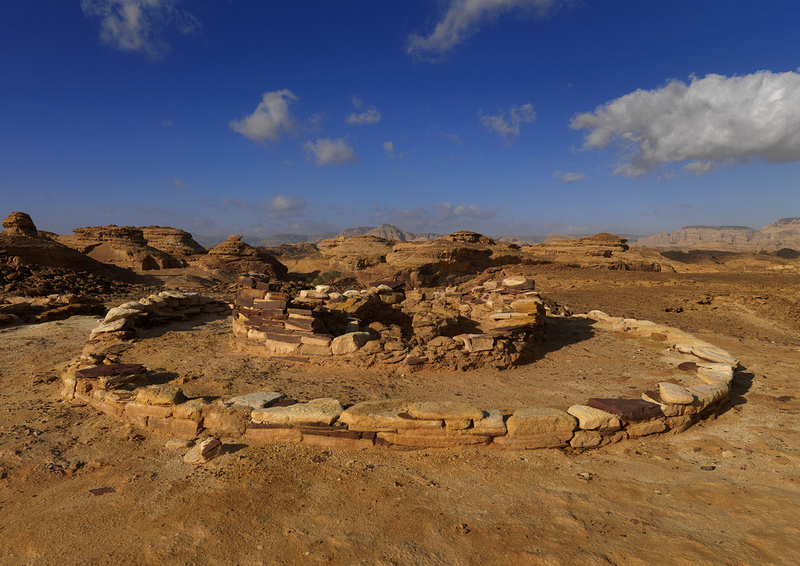 The site constitutes the kingdom’s southernmost and largest settlement after Petra, its capital. 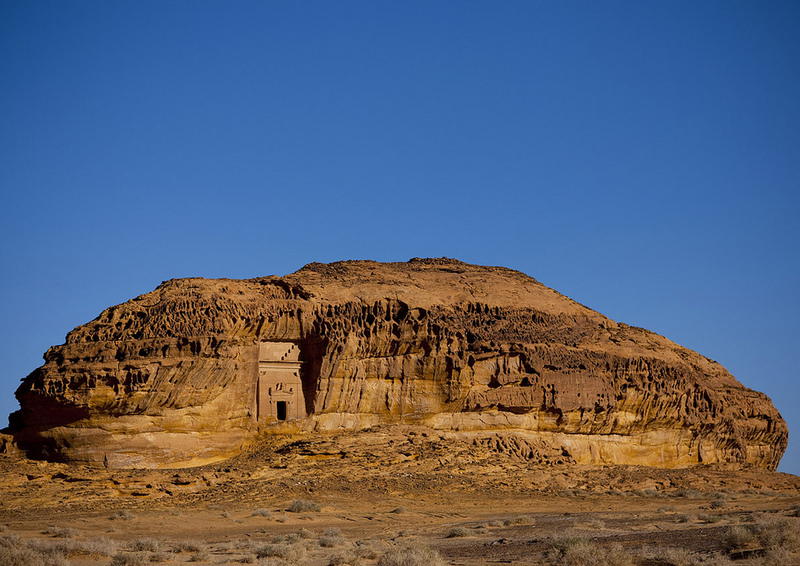 Traces of Lihyanite and Roman occupation before and after the Nabatean rule, respectively, can also be found in situ, while accounts from the Qur’an tell of an earlier settlement of the area by the tribe of Thamud in the 3rd millennium BC. 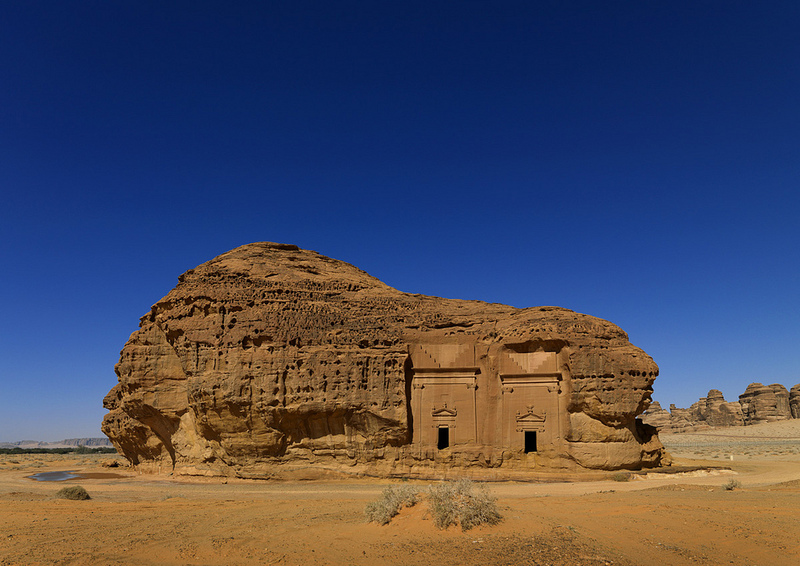 In 2008, for its well-preserved remains from late antiquity, especially the 131 rock-cut monumental tombs, with their elaborately ornamented façades, of the Nabatean kingdom, UNESCO proclaimed Mada’in Saleh as a site of patrimony, becoming Saudi Arabia’s first World Heritage Site. The place is currently known as Mada’in Saleh, Arabic for “Cities of Saleh,” which was coined by an Andalusian traveler in 1336 AD. 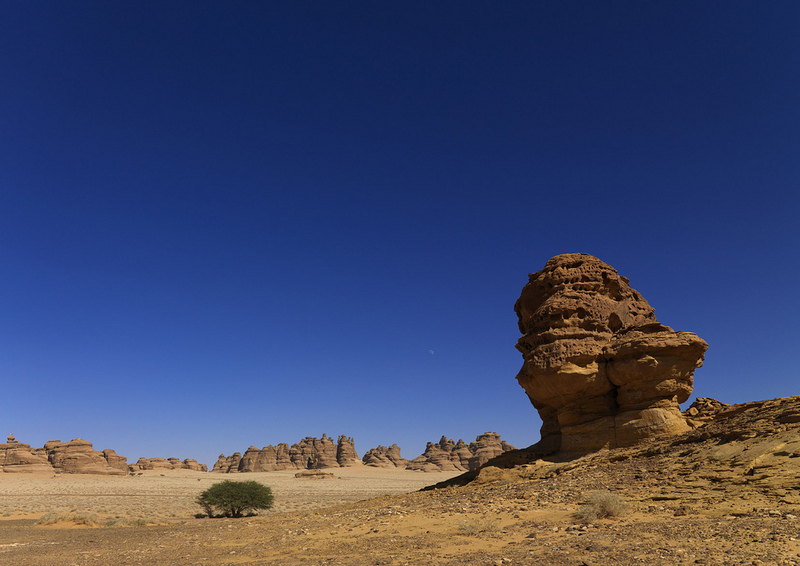 The name “Al-Hijr,” Arabic for “rocky place,” has also been used to allude to its topography. Both names have been mentioned in the Qur’an when referring to the settlements found in the locality. 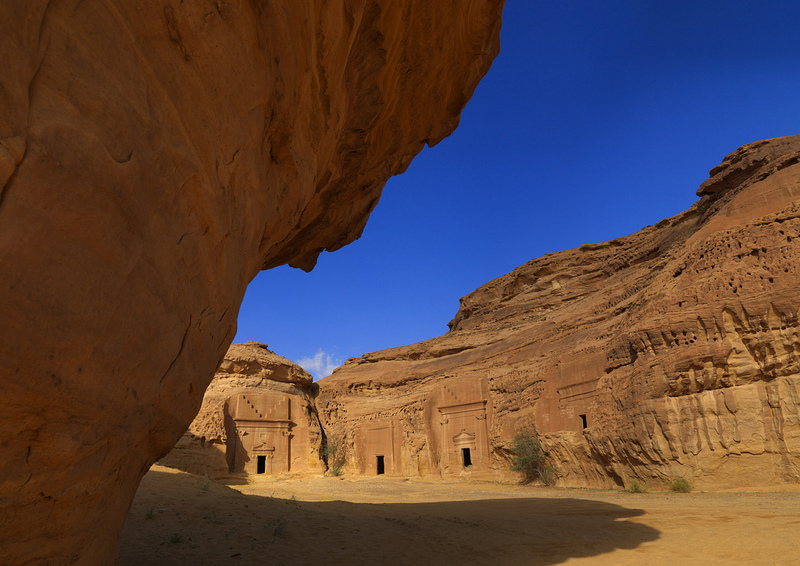 The ancient inhabitants of the area, the Thamudis and Nabateans, referred to the place as “Hegra”. 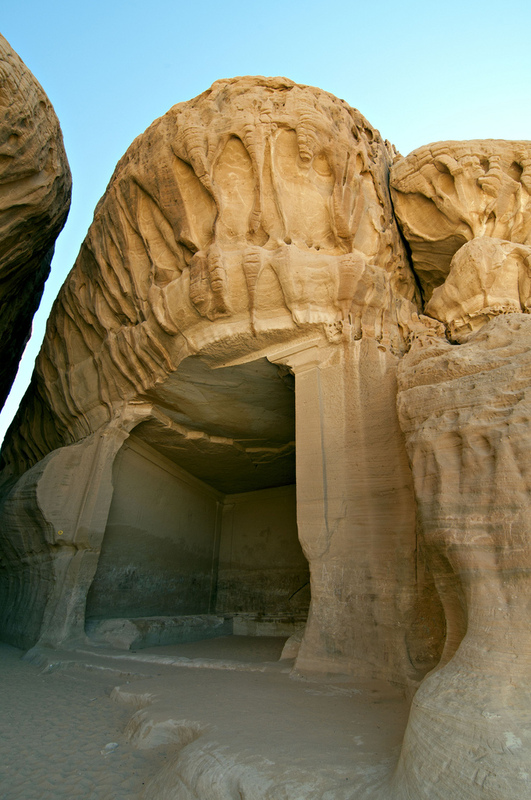 Location: The archaeological site of Mada’in Saleh is situated 20 km (12.4 mi) north of the Al-`Ula town, 400 km (248.5 mi) north-west of Medina, and 500 km (310.7 mi) south-east of Petra, in modern-day Jordan. Sources: Eric Lafforgue/Flickr, knowehme/Flickr, J@mm!E/Flickr, Wikipedia. trace of rosul… trace of civilization.. I visited Medain Saleh back in the 90s. Is it possible to get copies of the above photos? It’s really stunning images and brief useful blog post. How come they called it as “Old jewish grave”? The jews tribe should be born a long long after madain saleh era. everything is jewish, don’t you get it by now ?